IBM Power8 Systems for IBM i iSeries, AIX and Linux workloads, including S814 8286-41A, S824 8286-42A, S822 8284-22A, S812 8284-21A, processor upgrades, memory, disk drives, external storage, tape libraries and other features Power8 system features. 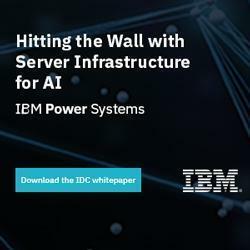 IBM Power8 scale-out systems provide powerful, scalable, and economical means to put data to work for you. IBM Power8 Systems configured to your specifcations, include warranty and are eligible for IBM i Maintenance agreements. IBM Power8 systems and upgrades are configured per your requirements and typically require interaction with a specialist. Our IBM Power system staff is trained to assist you with sizing, configurations, LPAR configurations and answering any questions you may have. All IBM POWER8 systems and parts are IBM Certified, include warranty and qualify for IBM Maintenance and Support agreements. Or, if you need help deciding which model is best for you, speak with a specialist about your business needs. We are available via phone at Toll Free at 888-682-5335.